We now have a year under our belts with the new design for Titleist Pro V1 / X golf balls. We will dive in on how that year went a bit later but for now let’s discuss some quick Titleist philosophy. 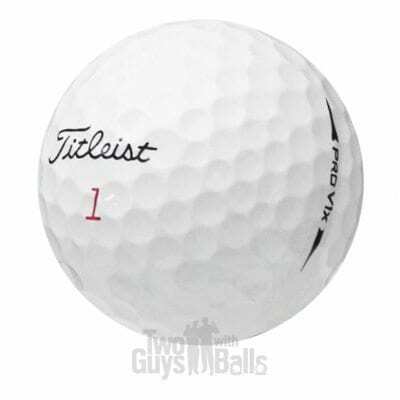 First, I’d like to make sure that all of our loyal readers understand the Titleist pattern, release, and design of new Pro V1s. Since the Pro V1’s conception in 2000, Titleist has brought enhancements to the market every two years, which personally I like and respect. So many golf companies out there use their “Marketing” division to make us golfers “feel” like every year, technology has advanced SO much that we have to spend thousands of dollars on new equipment just to keep up. Well……not Titleist Pro V1 golf balls which new versions are released every two years. So how can you tell the difference? For many of you, I’d be willing to bet that you may have never even thought about it or don’t really care (that’s why I’m here for you) which is great. Note: These balls are great every year and you should never worry about a Titleist Pro V1 golf ball that you are playing unless you have a big cart path mark or a slice in the ball (if so we have some great specials going on right now). But for those of you, like me, who Iove all the nerdy details regarding your golf balls, here is the quick and easy way to identify what version you are playing…. 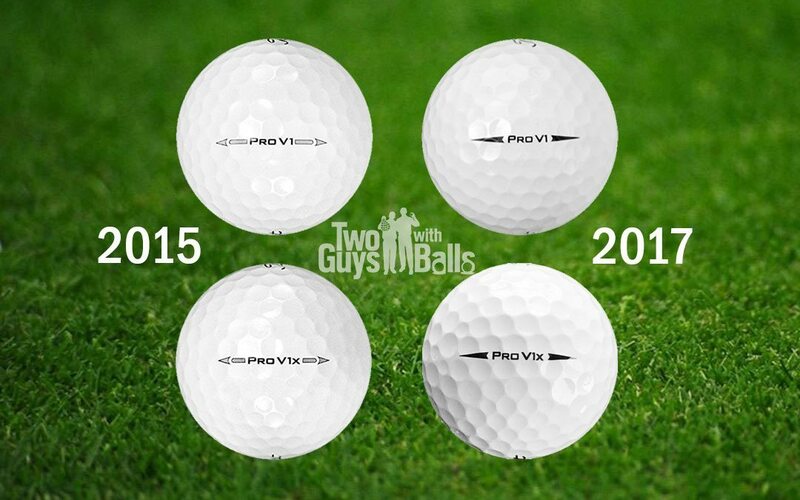 The Pro V1 logo on each ball. Really? Is it that easy? Yes, it is that easy. Titleist is very clever on subtle changes the logo that without reading this blog, you may have never known! But since you are, I have shown you the last two versions (2015-2017). Titleist Pro V1 is their most advanced, best performing golf ball ever. As we all know there are two types of golf balls (for most golfers) Pro V1 / X and ALL OTHER GOLF BALLS… Even if you don’t adhere to that rule you have to admit that Pro V1 is one of the best golf balls on the market. So what’s different? A LOT according to Titleist. So let’s dive into it. “The longest golf ball ever” – The 2017 Pro V1 features a re-engineered with a Next Generation 2.0 ZG process core which delivers longer distance on all shots through lower long game spin and faster ball speed while giving the soft feel Pro V1 lovers have come to love and demand. A new spherically tiled 352 tetrahedral dimple design produces penetrating trajectory with even more consistent flight. “Most Consistent Flight Ever” – The 2017/18 Pro V1x featuring a ZG Process Dual Core creates extraordinary distance which is a bit different than Pro V1’s core. The Pro V1x ZG Process Dual Core adds a new spherically tiled 328 tetrahedral dimple design that produces a higher trajectory which hold it’s line during heavy winds better than it’s predecessor. Both 2017 Pro V1 and Pro V1x Titleist golf balls absolutely continue to deliver great short game scorning performance in most part because of the soft Urethane Elastomer cover system identical on both models is precisely formulated to deliver Drop-and-Stop greenside control with soft feel providing golfers with the performance and confidence to dot hit it closer to the hole. The most fascinating part of this cover is that a chemical reaction that takes place during the casting process which also provides great durability. Many have said that these golf balls will hold up for ALL 18 holes that is….if you don’t hit them in the woods. These models DO NOT EXIST. 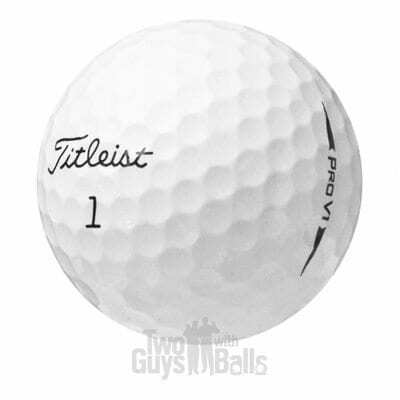 As I alluded to earlier, Titleist releases a new model approximately every two years. We’ve seen some retailers listing 2016 and 2018 balls which is misleading and causes confusion. Titleist blogged about this in a post titled Exploring the Titleist Pro V1 archive, which details the complete history of the Pro V1 since its launch in 2000. 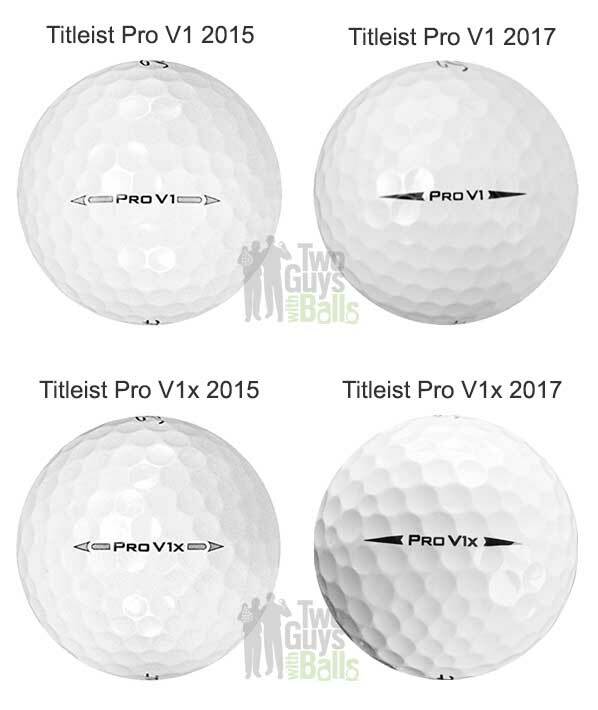 What are the biggest differences in Pro V1 vs Pro V1x? In a previous blog we highlighted the technical differences between the two but here we will mentioned it straight forward in performance. Pro V1x – flies higher, has slightly firmer feel, and spins more on iron shots. Either Pro V golf ball will give you the best opportunity to shoot the lowest score possible (my opinion) I use the Pro V1x and will continue as I love the greenside control and high trajectory. Bottom line is that you need to find a ball that you LOVE and have 100% confidence on for every shot. Hopefully now you have a better understanding of the enhancements of the new 2017 Pro V1 golf balls and will lower your scores this season! JT Hacker is an avid golfer and Two Guys with Balls customer turned Brand Ambassador. JT enjoys traveling and writing about golf, especially balls.